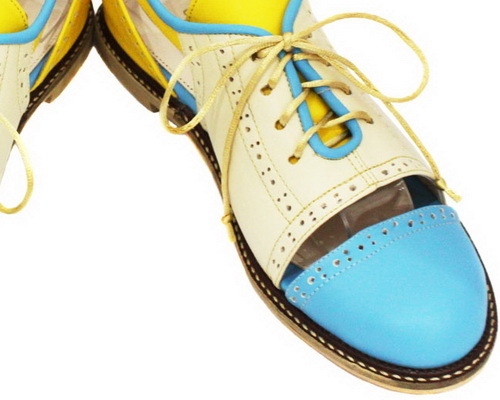 Tinuku ~ Pink Locomote studio came with fancy shoes using rope to design Brogues Flat series with two young vibrant works implemented in modern pop colored pieces baby pink, baby blue, yellow, cream and dark pink deliberately expose stitches. Pink Locomote studio presents collection of favorite flate shoes women wear more comfortable than high heels. Design deliberately expose seams and play vibrant colors to match the tastes and personality of stylish active, casual and feminine. Since thousands of years ago when humans walk and feet pierced by sharp object, since that time creates protective toe shoes. Women flat shoes are the right type of flat-oldest in the world and has undergone various dynamics in social aspects of the user to indicate the status symbol. Flatshoes fashionable safe and healthy as leg protectors designed to stay stylish, elegant and glamorous. Laced footwear types with four points to give impression of casual, comfortable and sporty when going to mall, recreation or go to office and campus while still giving glamor and luxury appearance. Studio based in Surabaya produced works in many different designs and uses material variety for sandal wedges, flat sandals, flip flop sandals until shoe heels. But in general, the various models have in common is comfortable to wear and very easy to use. Brogues Flat series done by craftsmen team in fashion field with emphasis on detail and premium materials. Pink Baby collection comes with the color baby pink, cream and dark pink. 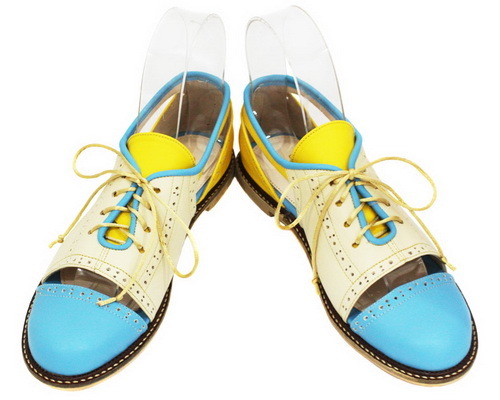 While Blue Yellow accented with baby blue, cream and yellow. 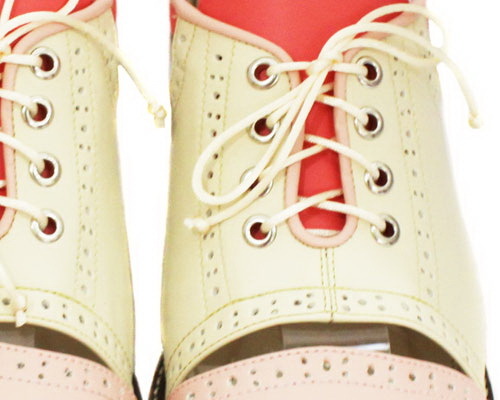 "Pink Locomote presenting handmade luxury shoes. We exclusively make special with careful use of premium materials to ensure your feet comfortable in every step you take," said the studio. "We offer variety of shoe collection is elegant, stylish and classic to complete your fashionable appearance. We also allow you to design your own shoes," said studio. Scraps of material connected with the edges stitched and perforated as decoration to strengthen the design concept. The use of accessory straps being fused, but still functional as a tribute casual shoes.